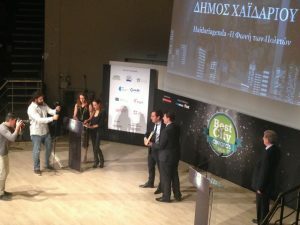 The Municipality of Moschato-Tavros won the “Social Networking” award for the program Social Wi-Fi 2018 at “Greek Green Awards 2018” in the context of verde.tec forum: Best practices of organizations and local authorities for the environment and sustainability. The event was held on March 2-4, 2018 at the MEC Peania Exhibition Center by Technoekdotiki / T-Press in cooperation with the Central Union of Municipalities of Greece and the Technical Chamber of Greece. Crowdpolicy has undertaken the design, implementation and operational support of Social Wi-Fi. We are also proud of this distinction. The platform CleanBot used by the Cleaning Service of the Municipality of Nea Smyrni received the award “Applications” in the Category “Process “. George Krikris, Deputy Mayor of Nea Smyrni, received the award on behalf of the Municipality. 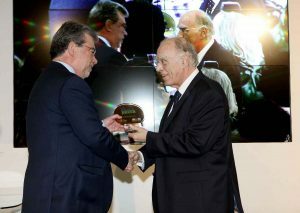 The award ceremony took place at Mec Paiania Exhibition Center on Friday, March 2nd. Crowdpolicy has undertaken the design, implementation and operational support of Clean bot. 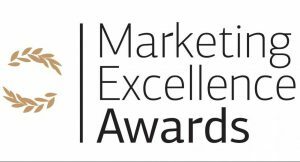 The Crowdfunding Program act4Greece received an award at “Marketing Excellence Awards”. 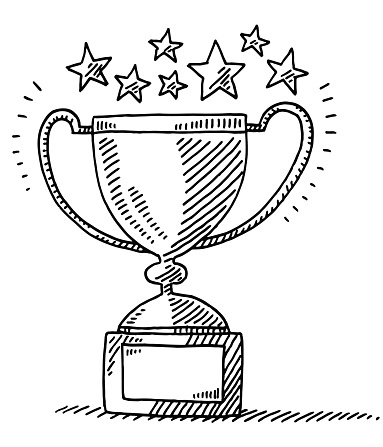 Specifically, the Program won the 1st prize in the thematic section “Communicating Effectively” under the “Cause Related Marketing Communications” category. 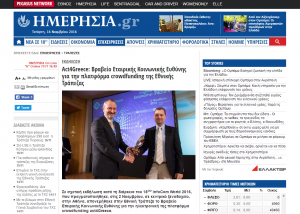 The awards are awarded by the Hellenic Institute of Marketing of Hellenic Management Association. The Evaluation Committees were made up of senior Marketing, Communication and Market Research Executives, and members of the Academic Community. Crowdpolicy has undertaken the design, implementation and operational support of the platform act4Greece. We are also proud of this distinction. 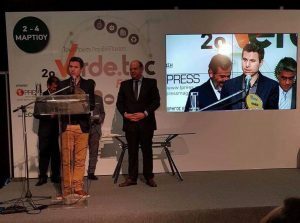 The Municipality of Moschato – Tavros was awarded with the Silver Award at Best City Awards for the development of the network Social Wi-Fi in the category “Implementation of free wireless broadband Internet access in common areas”. Social Wi-Fi is a free wireless internet access network that leads to the development of digital services created by citizens for the citizens. Municipalities and citizens work together to improve everyday life. 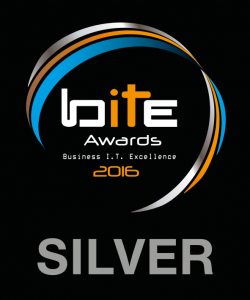 The online platform act4Greece was awarded the Silver Award in the category “CSR Strategy Support”, in the context of the Business IT Excellence (BITE) Awards. act4Greece is an innovative online platform that makes it possible, through easy and transparent procedures, to gather funds from “the crowd” to support projects of a social and developmental orientation. Crowdpolicy has undertaken the design, implementation and operational support of act4Greece. We are also proud of this distinction. 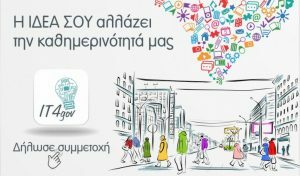 The “ΙΤ 4 Gov” Competition was organized by the Ministry of Interior and Administrative Reconstruction in cooperation with the Ministry of Education, Research and Religion and the Ministry of Economy, Development and Tourism. One of the 10 proposals that were selected is the Expansion of Operational Capabilities of the Consultation Platform of the Municipality of Nea Smyrni, which has been implemented by Crowdpolicy. It proposes a digital consultation platform designed to support dialogue in order to plan the actions of the Municipality of Nea Smyrni. 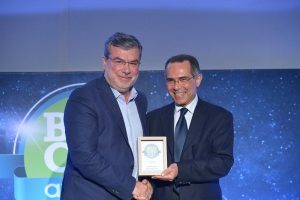 National Bank of Greece was awarded the Corporate Social Responsibility (CSR) award for its online crowdfunding platform www.act4Greece.gr at the 18th Infocom World 2016, the biggest ICT & Media conference in SE Europe. George Kametas, head of the Business Banking Sector of the Retail Segments Division, received the award at an event held on 2 November 2016. A very important distinction in the field of self-government was achieved by the municipal group “Haidari Xana” that was awarded the Silver Award at the competition Best City Awards 2016 for its innovative crowdsourcing – civic engagement platform “haidari-agenda” designed and implemented by Crowdpolicy. The CityAgenda platform falls within the series of integrated CrowdApps cloud tools and is an innovative crowdsourcing tool. The proposal that was awarded concerned the implementation of a digital platform to support networks of engaged citizens who provide solutions for the city and, thus, help the Municipality improve. 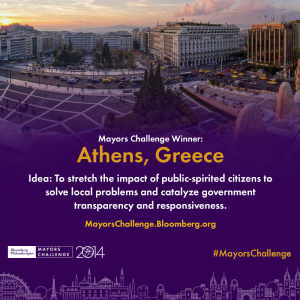 Crowdpolicy has been an active member of the Synathina team, since its initial planning and implementation, and has been actively involved in submitting the proposal along with the team of the City of Athens. The planning was based on the belief that smart and mostly sustainable solutions often result from the people that know their neighborhood, and want to help improve it and make it beautiful.